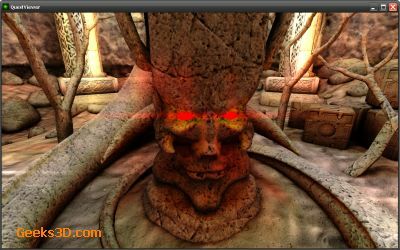 This is a tech demo has been made with Quest3D. 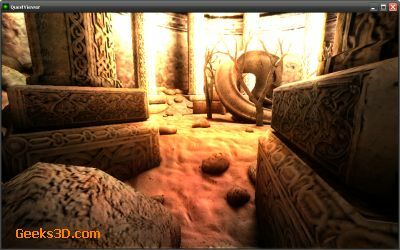 The demo uses 16-bit HDR (high dynamic range) radiosity normal maps and theses maps have been made with Turtle. 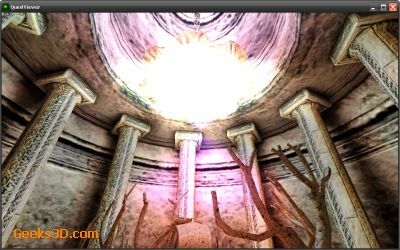 Direct download: Temple.exe – (50Mb). 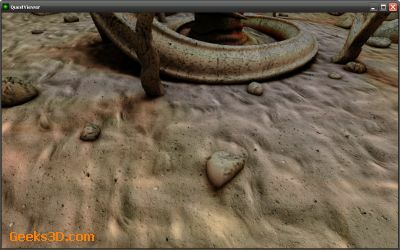 On my Radeon HD 4850 with Catalyst 9.3, the average FPS is 260 and drops to 200 when depth of field (DoF) is enabled. 200 fps at what res?